OPM are heading back to Germany to attend Gamescom Cologne 2017! We’re sending Kim, Daniel, Jody, Emma and Jordan, so if you fancy a chat with any of them please get in touch and they’ll be happy to meet you. The guys will be arriving at Gamescom Cologne on Monday 21st and will be there until Thursday 24th. 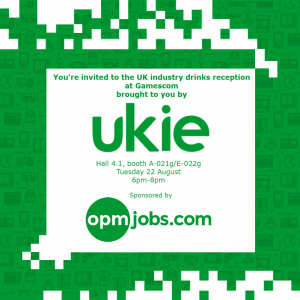 If you’d just prefer to come and find us, we’ll be at our table on the Ukie stand – Hall 4.1, booth A-021g/E-022g. We’re sponsoring a drinks reception on the Tuesday, so feel free to pop along for a chat about anything recruitment, or even just to say hello!